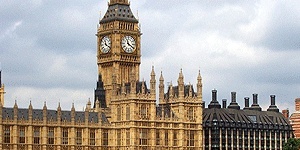 Earlier this week, long-hoped-for plans to give tax breaks to the the UK game development industry were suddenly nixed - and some developers are saying that a major global publisher was to blame. Game developers in the UK have been trying to get business tax cuts for the local industry in order to bring it more in line with other places like Montreal for quite some time now, and for a while it looked like they were going to succeed. Unfortunately, the agreement had been with the Labour government, which was ousted in the latest elections - and earlier this week, the new ruling Lib-Con government said that the deal was now off the table. Now, Develop Online claims that according to inside sources, the changing of the guard was not the only reason that the tax break plan was kiboshed: The efforts were sabotaged by "[one] of the biggest game companies in the world." The unnamed publisher, alleges Develop, put pressure on the UK government and British trade associations to abandon tax cut proposals, seeing the plans as "a measure that would have given the UK an unfair advantage over other nations." While Develop staff members insist that the information comes from "multiple, very trusted sources," everybody should remember to take claims and rumors lacking solid evidence with whole mountains of salt. Still, if this is even remotely true, the implications are potentially staggering. There are already quite a few regions that have game developer tax breaks already - what publishers would risk antagonizing an entire development region like that? I know the instinct of many gamers is going to be to stand up and point the finger at Activision/EA/Ubisoft/Hated Publisher Of Choice, but these are serious allegations, and not to be made lightly. Hopefully, we'll be able to learn more.